Naqsh e Faryadi is Poetry book of Faiz Ahmad Faiz in Urdu language. Naqshe Faryadi book contains Urdu Poems and Ghazals of Faiz Ahmad Faiz. The Book Naqshe Faryadi is available for online reading & Download in Pdf format. Faiz Ahmad Faiz was born on 13th Feb 1911. He was an influential, intellectual, & revolutionary highly regarded Poet. Faiz was nominated 4 times for Nobel Prize. 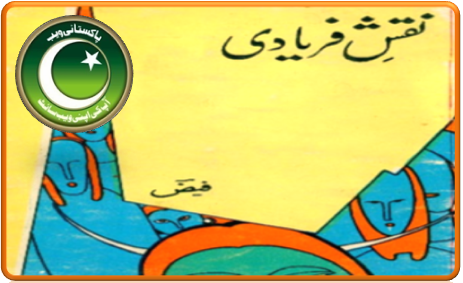 Click on the following links tor Read Online or Download Naqsh e Faryadi book by Faiz Ahmad Faiz. He was awarded MBE, Nigar Awards, Lenin Peace Prize, Nishan e Imtiaz and Avicenna Prize. Faiz Ahmad Faiz died on 20th November 1984. Click on the following links to Read online or Download Naqshe Faryadi in Urdu.